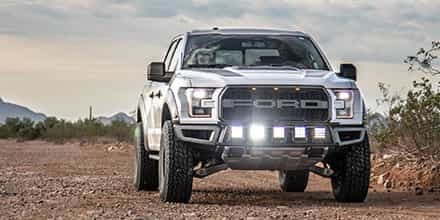 Concerns about voiding Ford's Powertrain Warranties keeps many people from investing in custom tuning, which seriously limits the amount of performance their F150 or SVT Raptor is capable of. Custom tuning always carries the risk of Ford or your dealer not covering Powertrain repairs under warranty. 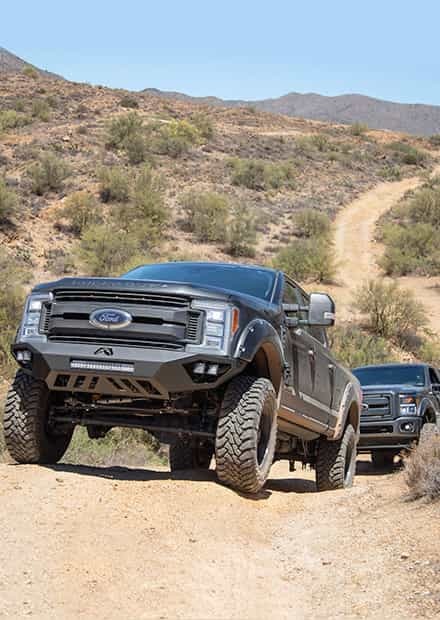 Well, we here at Stage 3 Motorsports have your back with this aftermarket warranty that's specifically for 5-Star's powerful custom tunes for the 2011+ F150 trucks. Our Custom Tuning Warranty comes in three distinct flavors with a 2-year/24,0000 mile warranty for the $250 base price, a 5-year/60,000 mile warranty for $500, and a 6-year/100,000 mile at $1000. Either of these warranties cover your truck's entire Powertrain, as well as labor for the replacement of those components. 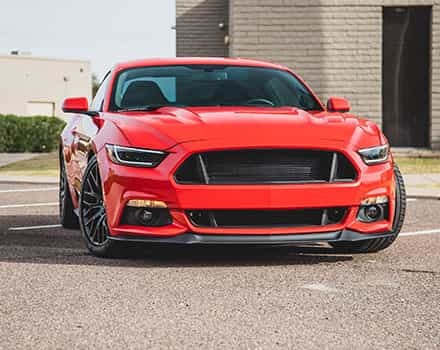 Stage 3's Custom Tuning Warranty is the most comprehensive and complete warranty available on the market for performance tuning, and it will have your back in case worse comes to worse. This industry-leading warranty even covers F150s that are heavily modified with a wide variety of bolt-on performance parts on top of 5-Star's custom tuning. Parts (and the tuning for them) include cold air intakes, cat-back exhaust kits, throttle bodies, catted mid-pipes and downpipes carried by Stage 3 Motorsports, coil packs, aftermarket spark plugs sold by Stage 3, oil separators sold by Stage 3, F150 EcoBoost charge pipes, and any cut-in or drop-in muffler. Unlike other third-party warranties, Stage 3's Tuning Warranties give your truck plenty of room to grown and make excellent levels of power with a whole host of performance modifications. Our Custom Tuning Warranties specifically cover 5-Star Tuning's Custom Tunes. The warranty does not apply to any other tuner, vendor, retailer, or other custom tune. SCT's "canned" tunes are likewise not covered. The warranty also doesn't apply to performance parts like custom engine modifications, off-road mid-pipes/downpipes, custom exhaust modifications (porting, cat-deletes, etc. 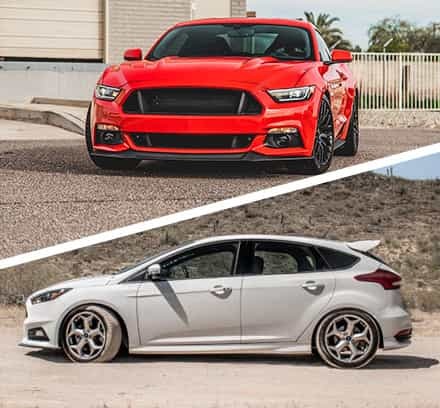 ), aftermarket or modified camshafts, nitrous systems, water-methanol systems and other chemical injection systems, octane boosters, supercharger systems, aftermarket turbochargers, aftermarket upgrades to factory turbochargers (EcoBoost F150s only), aftermarket or modified intake manifolds, and tires larger than 35" on F150s and 37" on SVT Raptors. The warranty covers up to a grand total of $20,000 in both parts and Labor. Our aftermarket warranty covers up to $10,000 for the engine, $6,000 for the transmission, $1,500 per axle, and up to $3,000 in labor. 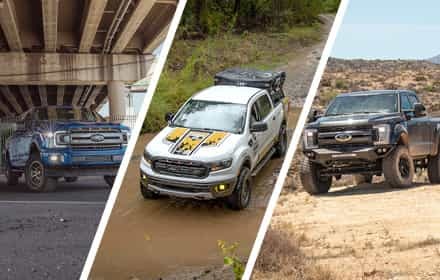 Warranty coverage will only kick in if your Ford Dealership or Ford Motor Company deny repair coverage under your truck's factory powertrain warranty due to 5-Star's custom tune. 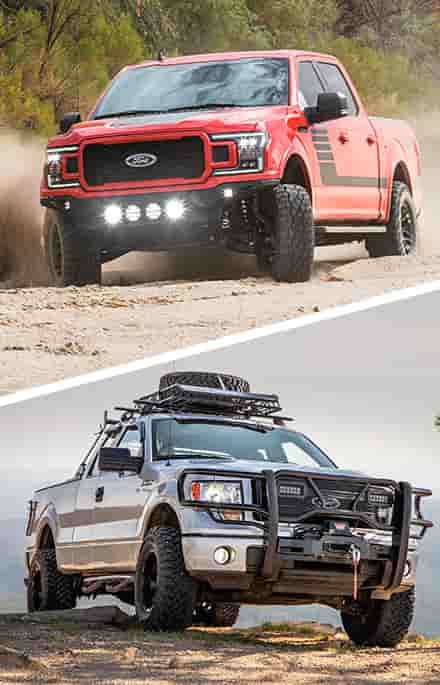 Our full 2010-2014 F150 Warranty Terms and Conditions or 2015-2017 F150 Warranty Terms and Conditions, as well as our Warranty Claim Form are available for download.